See how Lauren Reid takes sportswear from the gym to the streets. If you ask us who our current ultimate #fitspiration is, we'd have to say Lauren Reid. This girl is absolutely dedicated to living healthy and keeping fit, and it shows: Aside from having a body that looks amazing in anything she wears, she also has that enviable glow you can only attain with regular exercise and a proper diet. Embrace your girly side with an all-pastel ensemble. The Nike Air Vapormax sneakers in Chrome Blush is the perfect finishing touch. Layering two sports bras is a great way to stay chic while running. It's far from dowdy: You'll get twice the style and double the amount of support. Ready to give your usual dri-fit shirts a rehash while training at the gym? Try wearing your sports bra over it, instead of under, for an instant fashion hit that's still functional. To nail that easy, laid-back aesthetic while training, pick a sweatshirt two sizes larger to achieve that so-now oversized, relaxed look. 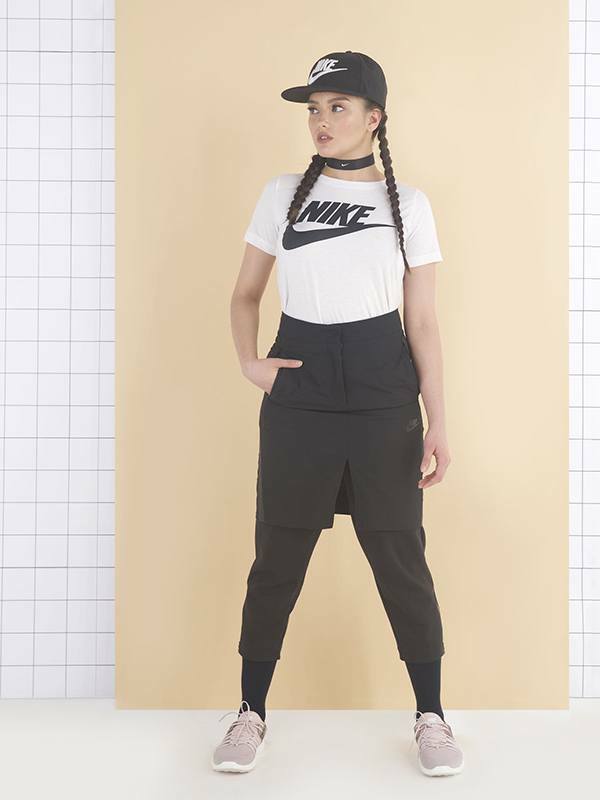 Nike's newest athleisure must-have: The bonded skirt, which looks cool worn alone and even cooler when layered over track pants. Add a bit of street style to your sportswear by reworking an exercise-ready headband into a statement neck piece.